It’s here! My first top tutorial! I’m so glad that I asked if anyone was interested in this tutorial because so many times I fully intend on doing a tutorial, but I get caught up in other things and let it pass. You motivated me to follow through on this, so thank you guys! I’m sure this is a bit premature, but since I’m working on adding more tutorials to my lil library (and I’m hoping people actually use them), I thought I’d create a you & mie flickr group so you can share your creations if you use a tutorial or are inspired by a project you see here. I really would love to see your projects and I know I’d be inspired by you guys too! I added some icons on the right and the flickr button will to take you over to the group (it’s the middle icon with the two little circles). Oh, you like my new buttons?? I downloaded them for free HERE. Ok ok, on with the tutorial! So this, like most of my projects sort of evolved as I was creating it. It wasn’t originally going to be asymmetrical and I intended it to be a shorter top, which is why I keep calling it a top, even though it’s more like a dress or a tunic. The idea is pretty simple, so I hope I can explain it clearly. If not, please feel free to ask me for help!! I used Dana’s Circle Skirt Tutorial to make the body of the top, but before you head over there, we’ll need to make a few adjustments. Instead of using your kid’s waist measurement, you’ll need to use their chest measurement. In Dana’s formula, she takes the waist measurement and adds 2 inches before dividing it by 6.28. I suggest taking the chest measurement and adding 3 inches to give you a little extra fabric. As for the length, you can make it as long or short as you want. 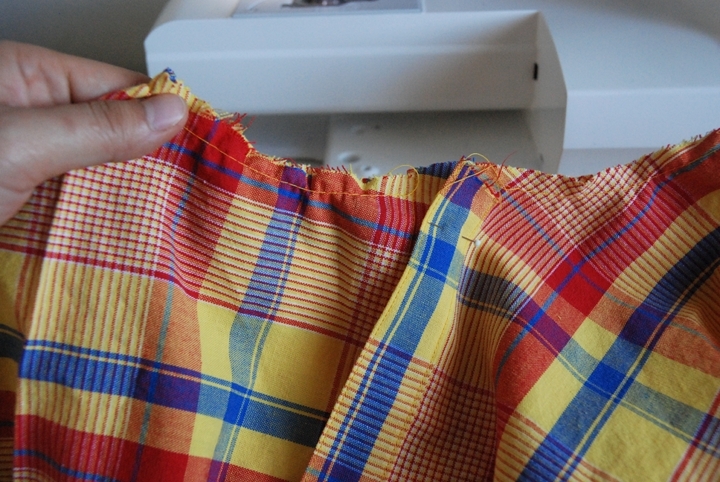 Just remember that you’ll need an extra inch for hemming and it’s always safer to cut it longer than you think you’ll need and trim it before hemming if it’s too long. 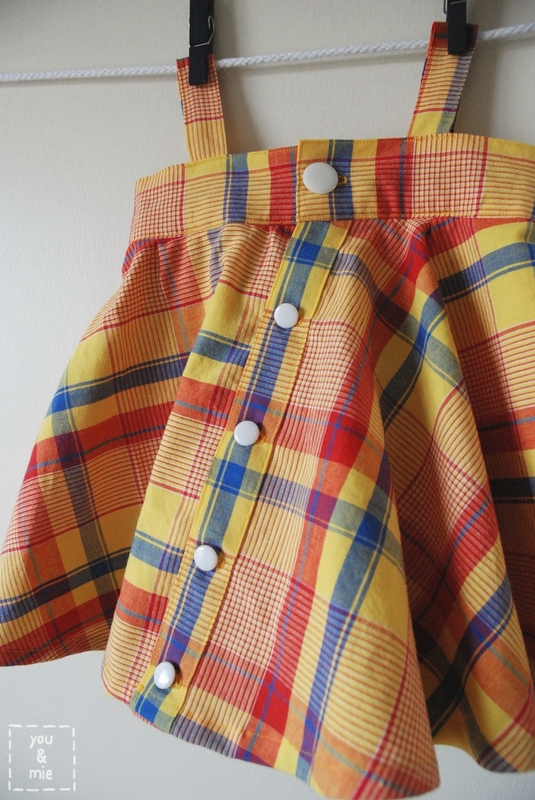 If you’ve never made a circle skirt, all these numbers may be a little confusing, but head on over to Dana’s tutorial because she explains it all quite nicely! So now you should have your fabric cut and it should look like this when it’s still folded in fourths. Go ahead and open it up and cut a straight line from the outside to the inside of the circle. 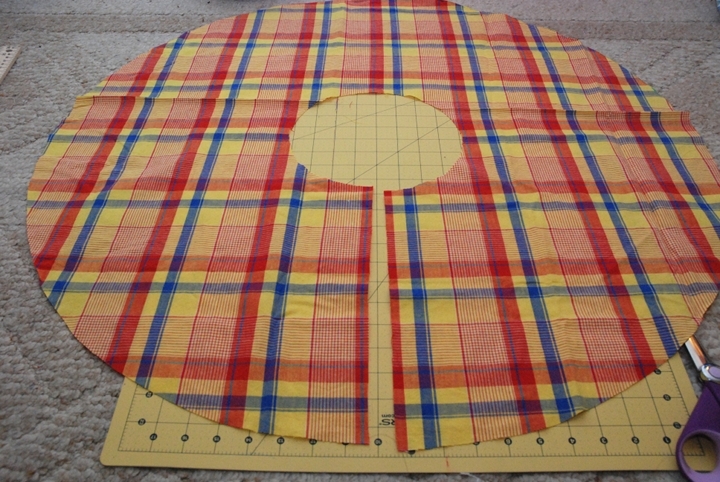 Besides the circle, you’ll need to cut 2 rectangles for straps and one for the bodice. 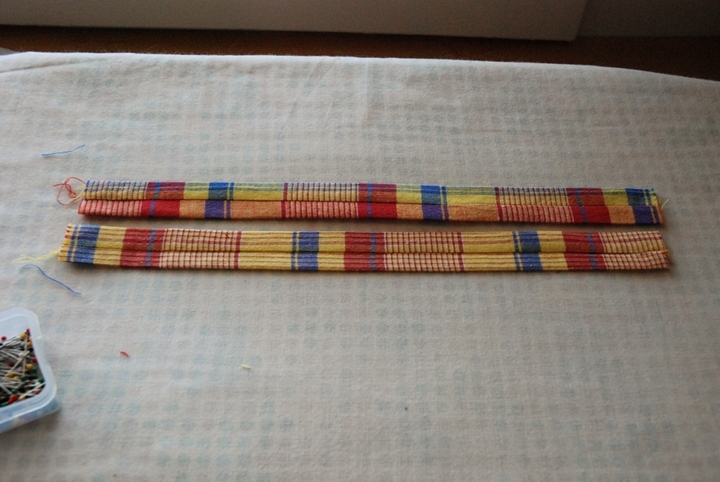 I cut my straps 12 x 2.5 inches in order to make 1 inch straps. 12 inches was plenty long enough for my 19 month old, but if you’re making your top for a older/larger kid, you’ll probably want to add a couple of inches. For the bodice, take the chest measurement and add 3 inches for the length. The width of this strip should be about 5 inches. Let’s start with the circle. 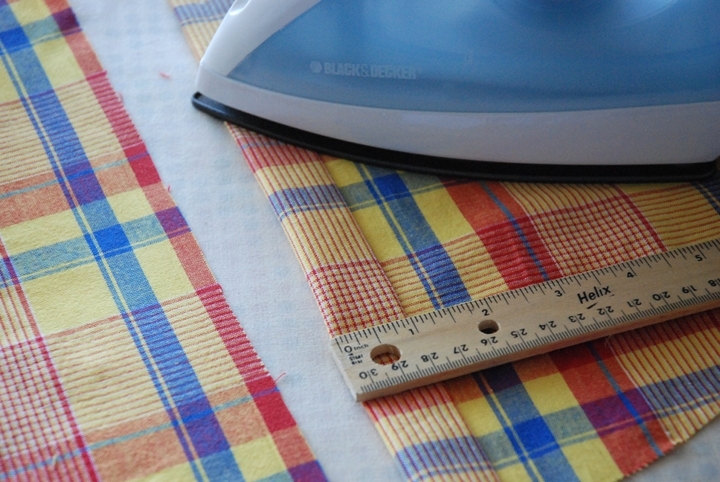 On one side of the straight edge you cut open, fold and press your fabric about a 1/4 inch. 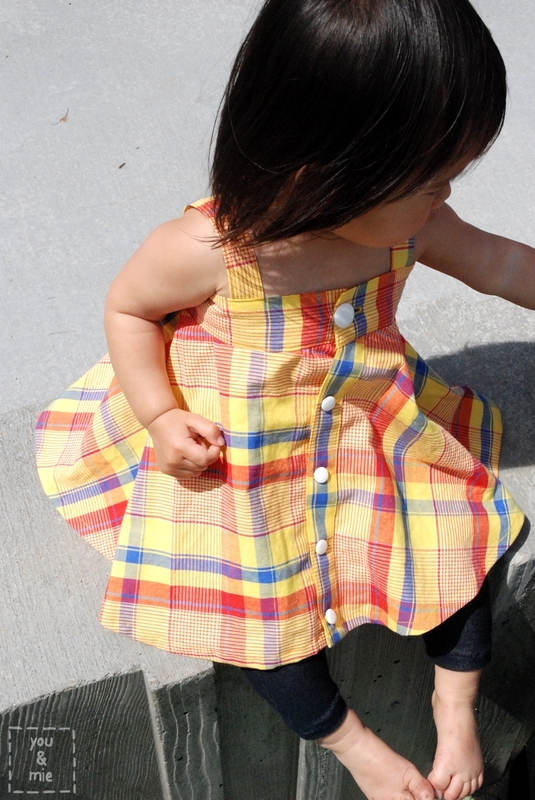 If your fabric has a right and wrong side, you’ll want to fold it in towards the wrong side. 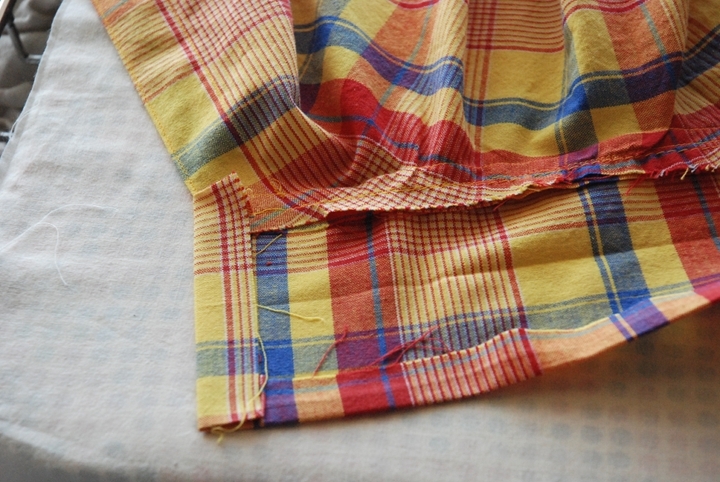 My fabric didn’t, so I actually folded my button placket towards the right side of the fabric. 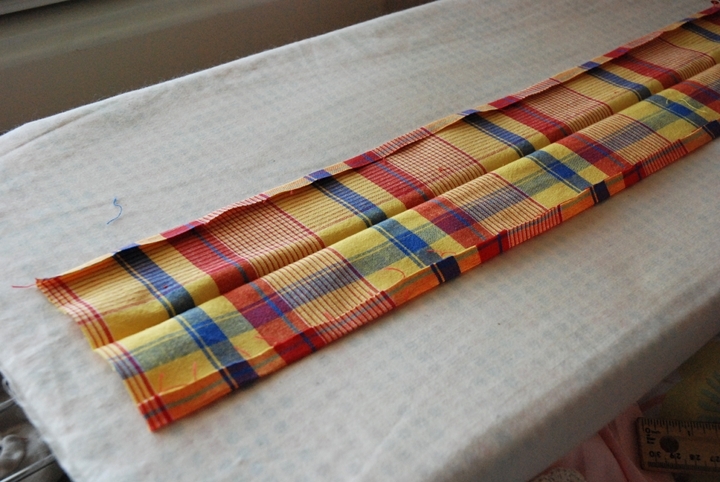 Fold it in another inch, press and pin. Top stitch as close to the pinned edge as possible and as an optional step, top stitch on the outside edge as well for symmetry. Like I mentioned at the beginning, I never intended for this top to be asymmetrical. It was just going to have the buttons go straight down the front. But when I looked at the top, it had a bit too much fabric for a top (in my opinion). I wanted to cut some of the fabric out, but not lose any fabric at the inner circle because then it wouldn’t fit around my daughter’s chest. 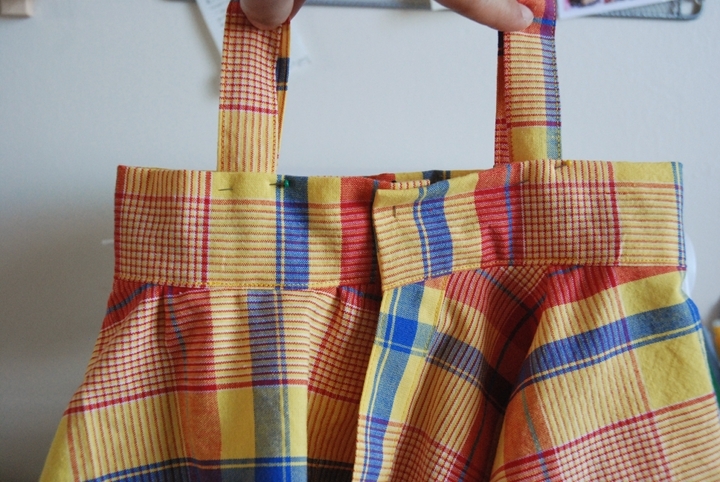 I held the fabric together where the fabric met on the top and then pulled the bottom of the fabric over until the plaid lines matched up. Of course, if you’re not using plaid (or even if you are), you can decide how much of an angle you want the front opening to be. 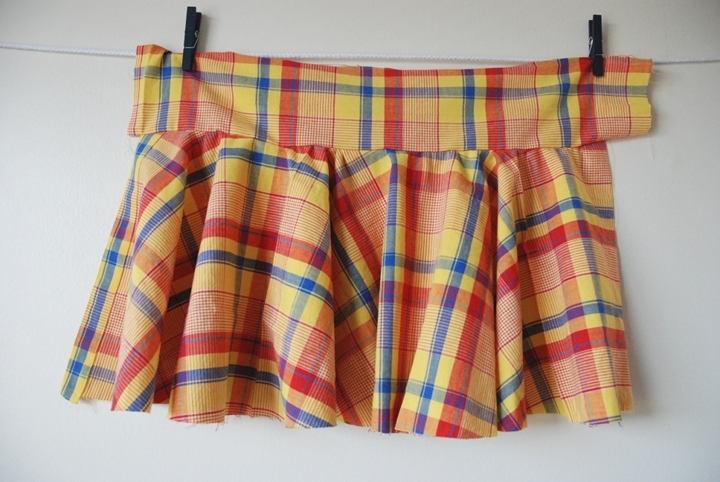 Just remember not to overlap any of the fabric at the top, just the bottom (oh man, I hope this is making sense). 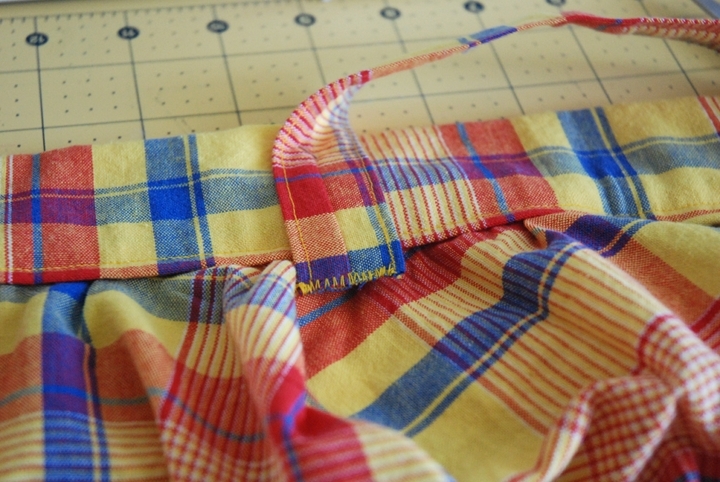 Once you’ve decided on the angle, mark it by adding pins along the finished placket. Measure about 1 and 1/4 from your pins and cut from the bottom to the center. Be sure not to cut the other side of the circle, just the one on top! Finish this edge the same way you did the first one. 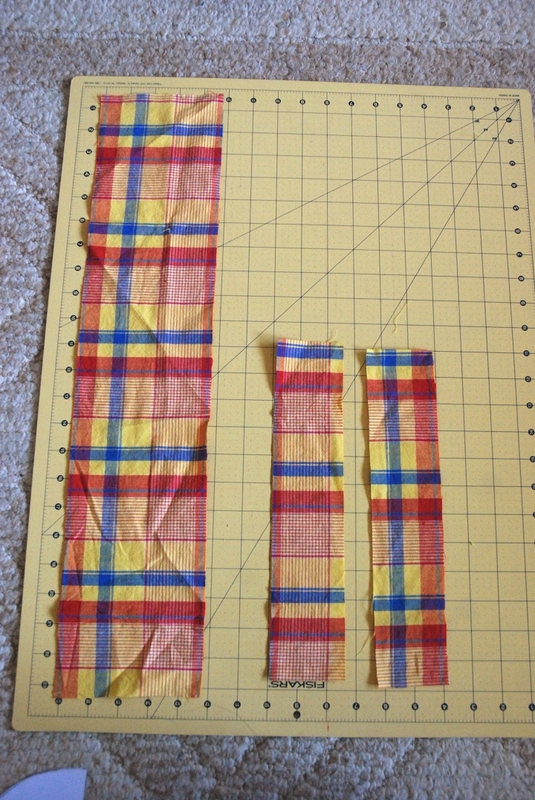 These two one inch hems will overlap and are the button plackets for the front of the shirt. Now we’re going to prepare the straps. 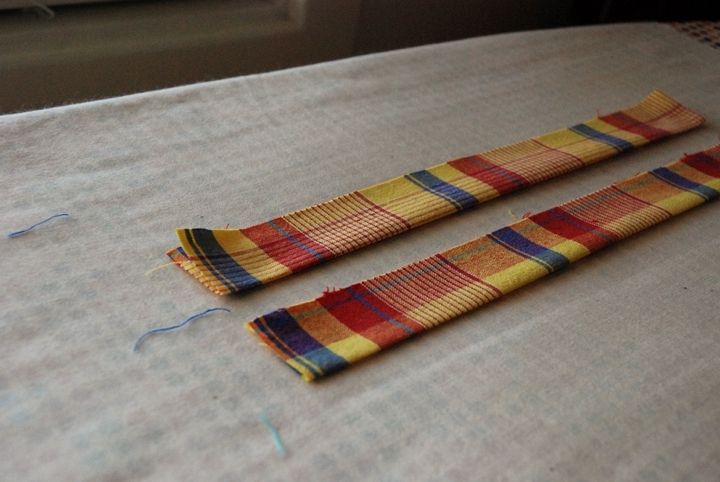 Take the two rectangles for your straps, fold them in half lengthwise right sides together and press. 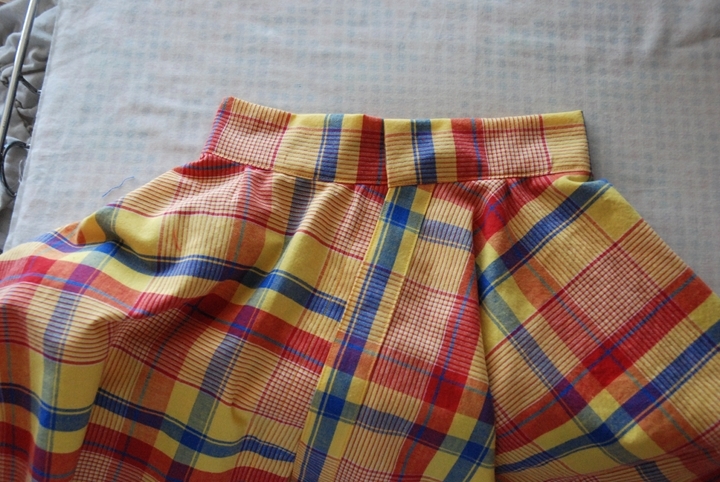 Sew down the side with a 1/4 inch seam allowance. Turn the straps right side out and move the seam to the center. 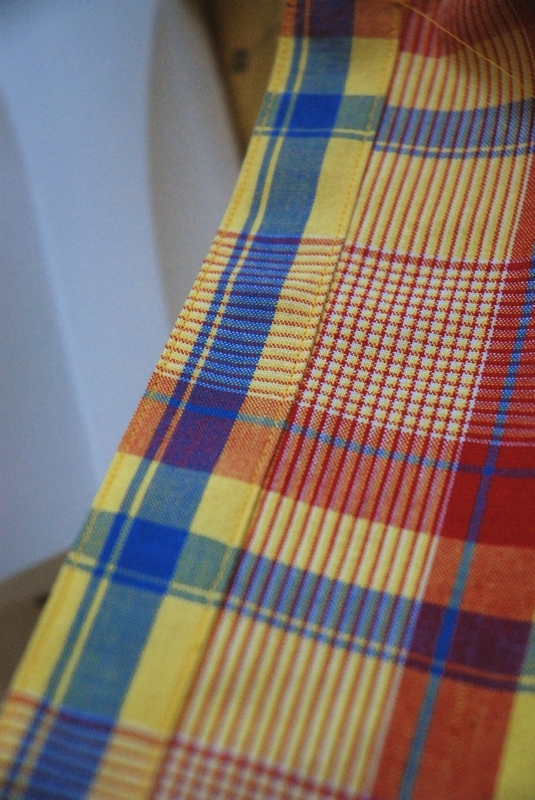 Press and top stitch down each side. Top stitching is optional, but trust me, it’ll look much better. Set the straps aside. 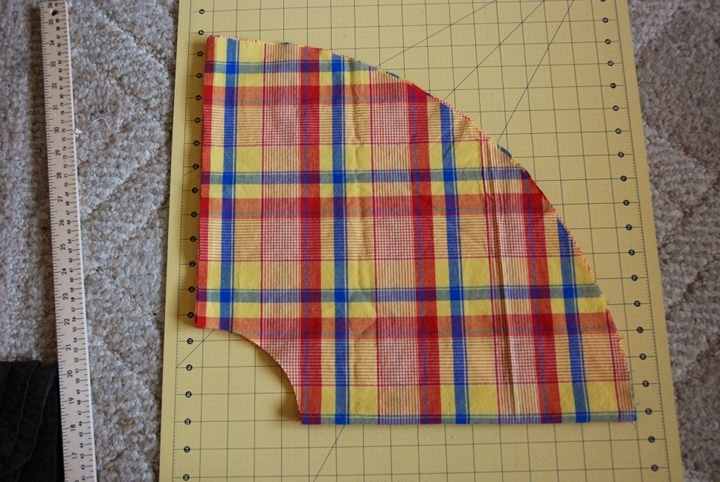 Take your bodice piece and fold it in half lengthwise wrong sides together. Along each long side of the rectangle, fold and press it in about a 1/4 inch. 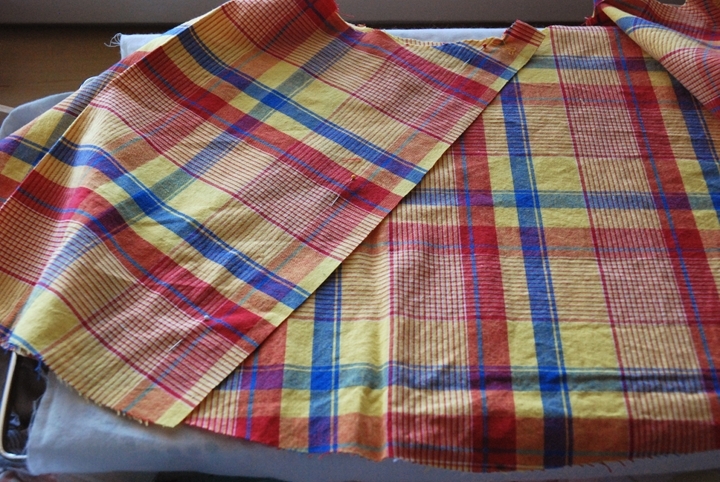 On one end, fold the fabric about a 1/2 inch and press. Alright, so now we’re going to put it all together! Measure the width of your top with the button plackets overlapping and it should be slightly larger than your final chest measurement. Gather the top until it measures the same as the final chest measurement. 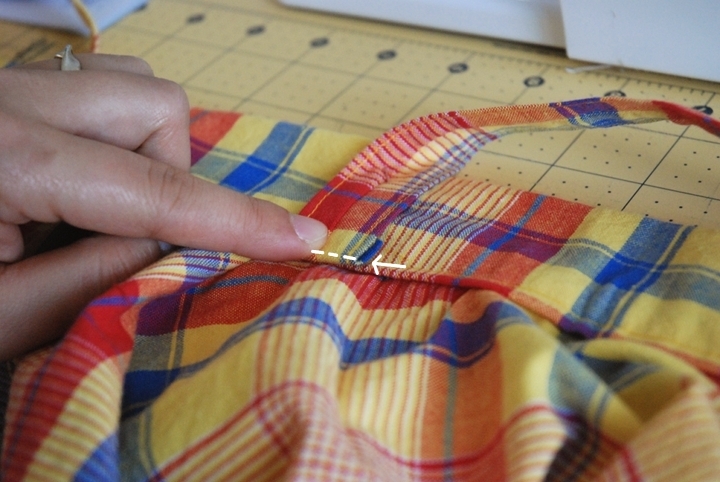 To gather, set your machine to the longest stitch possible (usually a 5) and sew a basting line along the edge. Do not backstitch at the beginning of the end. 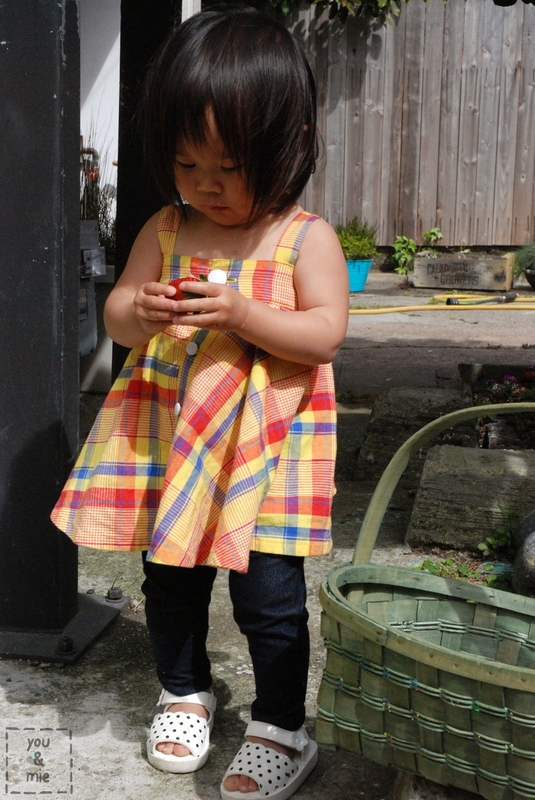 Gently pull on one of the threads to gather fabric. Mine was oh so barely gathered. With your body piece opened up, lay it in front of you right side up. 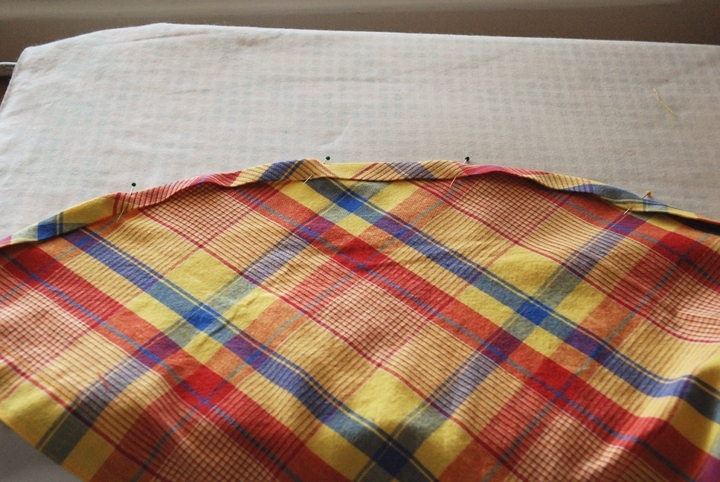 The top of the fabric (slightly gathered) will lay straight, but the finished edge will lay diagonal. 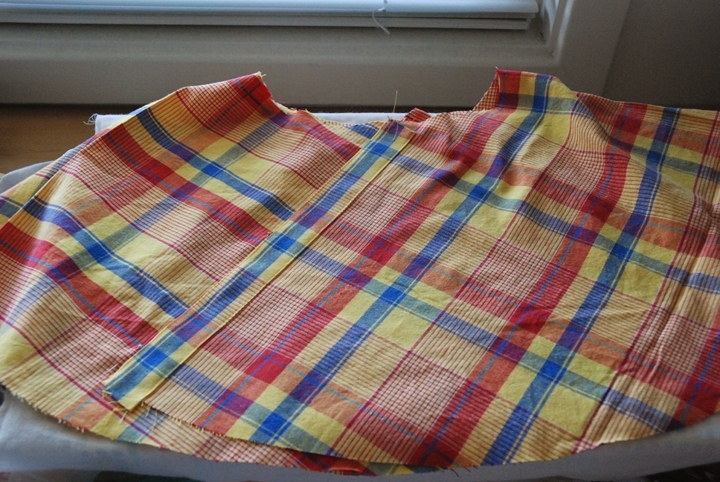 Unfold your bodice piece and place it on top (right side down) lining up the edge with the top of the skirt piece. 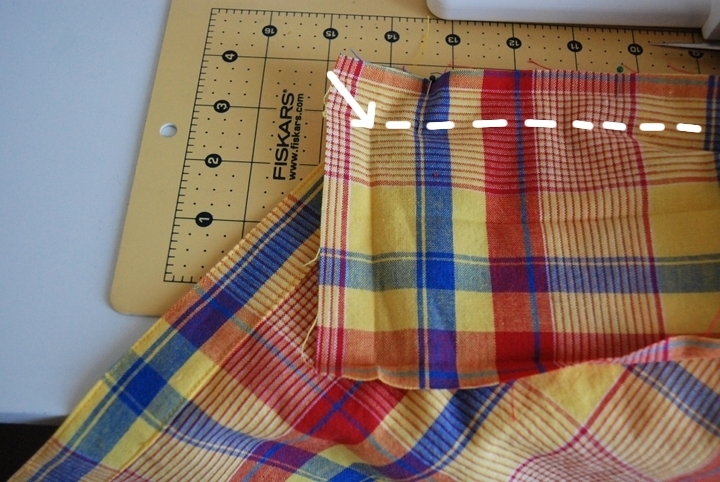 The corner that you created when folding should be lined up with the edge of your skirt piece. 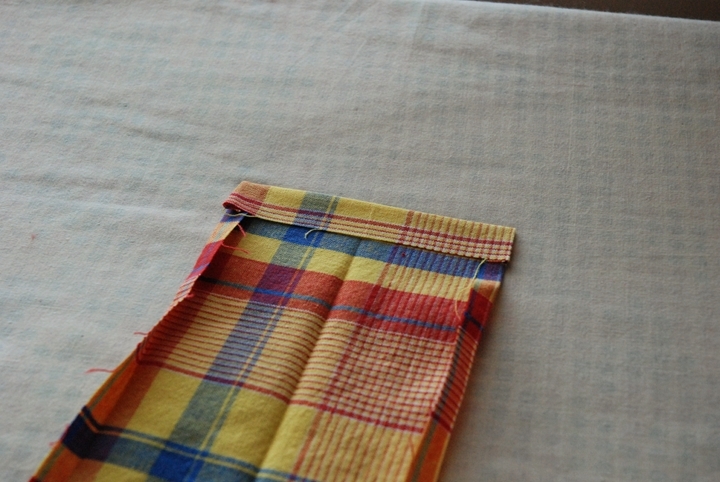 Sew along that fold all the way around to the other edge. Flip the bodice piece up and iron the seam open. It should look like this. With wrong side facing up, your top should look like this. 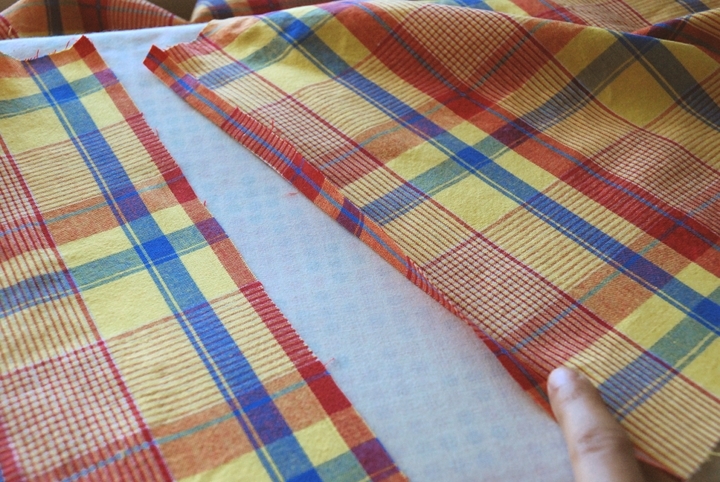 Fold the ends in half an inch (trim if necessary). Fold the bodice piece in half. The folded edge should just cover the seam. Pin in place. Keep in mind that while the body piece edges are angled, your bodice piece edges should be vertical. Top stitch on the right side just slightly above the seam. Go slow and make sure to catch the fabric on the wrong side. Since you’re sewing above the seam, it should be fine. Now it’s time to add the straps. Measure out your placement by trying it on your kid, if possible. You can attach your straps however you like, but this is how I do it. The straps should be long enough to hang past the bottom edge of your bodice piece. I trim them so they hang past the bottom of the bodice by about a 1/4 inch then zig zag stitch along the edge. 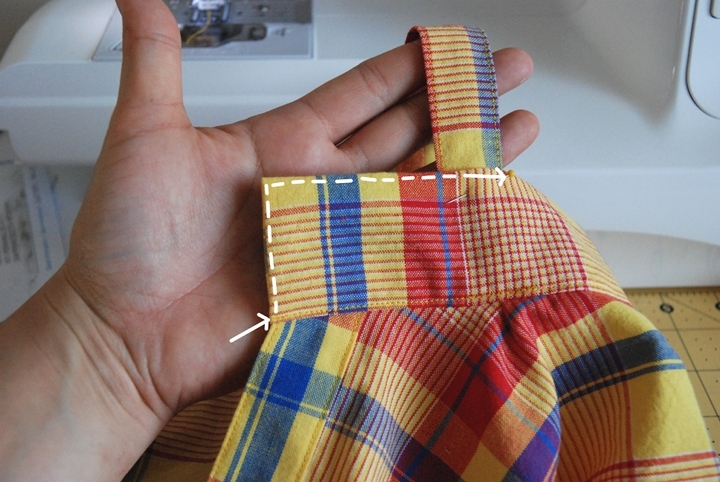 Fold the end under a 1/4 inch and sew right along the top stitching you did earlier. This will secure the end of the strap nicely and the stitching will blend in and be barely noticeable. Repeat with the other 3 ends of the straps. With your straps still pinned in place, top stitch around the rest of your bodice piece. I like to do extra stitching over the straps to make sure they are very securely attached. Almost done! 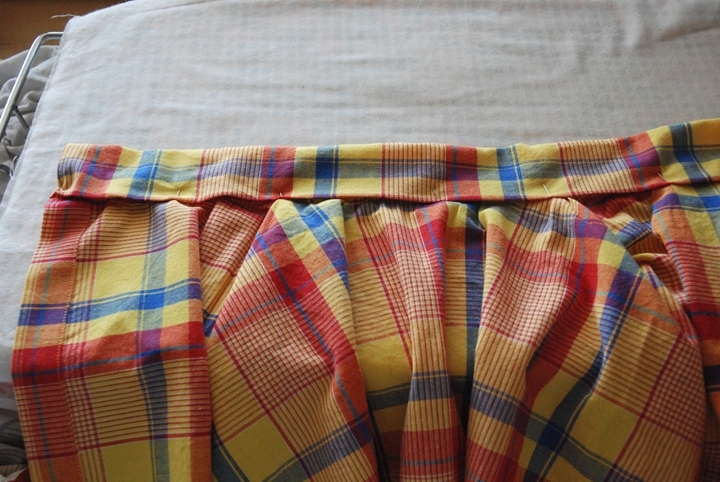 Hem up the bottom by folding it in a 1/4 inch and then another 1/4 and sewing all the way around. Then make button holes on one button placket and attach buttons to the other. All done!! Step back and admire your handy work! I really hope that this process made sense, but if you need me to clarify any part, don’t hesitate to ask! It really was supposed to be a simple tutorial, but sometimes I tend to over explain things and make them seem more complicated. If you use this tutorial to make a top, please load it into the you & mie flickr group so I can see your awesome work! It’d mean so much to me! 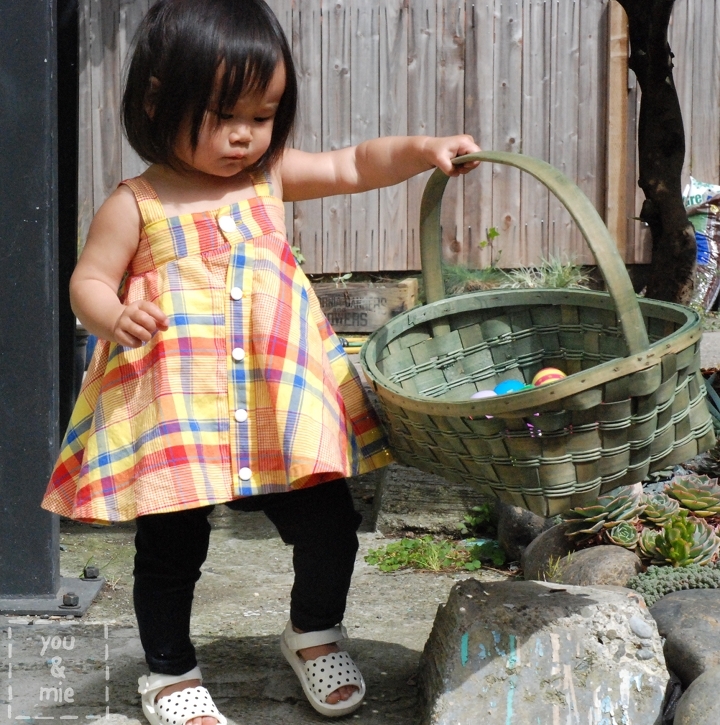 This entry was posted in other, tutorials and tagged circle skirt, circle skirt remix, girls, spring top, tutorial by Cherie. Bookmark the permalink. It’s a great idea, sure I’ll try it for the summer! this is darling, thanks so much for the tutorial! 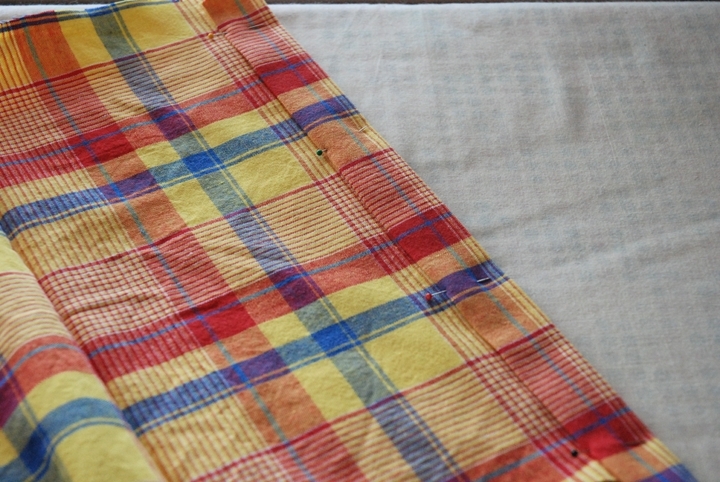 i love the asymmetrical placket (isn’t it fun how things evolve?) and i must say, your daughter is adorable. i’ve been enjoying your blog for awhile now, thanks for sharing your creations! You rock! I love your designs. Why are you not competing in PR&P??? Great tutorial. I made this for my daughter and she loves it. My best friend loves it so much that she requested an adult version so I’m off to attempt it in the bigger size. Yes.. turned out pretty well I think. I have a photo. Not sure how to post it here. I don’t think you can do it in the comments, but you can always email me (at cheriemie (at) gmail (dot) com or if you have a flickr account, you can upload a picture and add it to the flickr group. I’m glad it came out well!! Adorable. EnJOYed the tut. 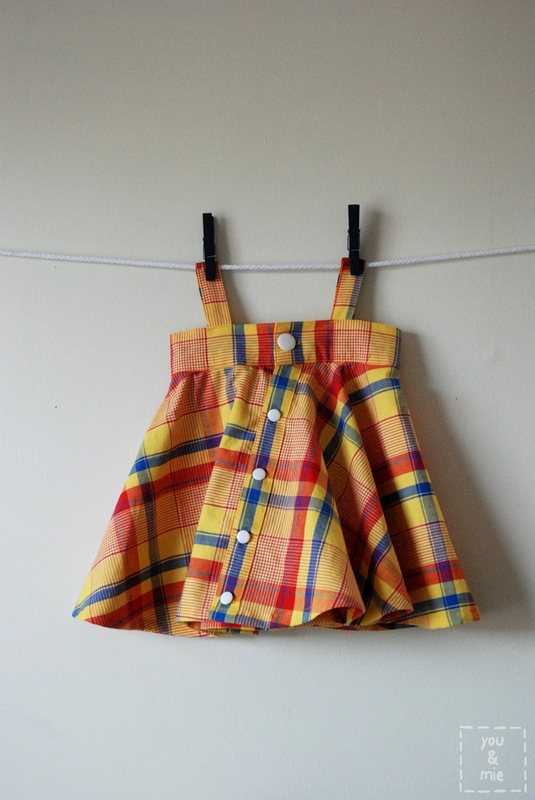 Upon seeing the picture in Pinterest, I thought you’d made this from a man’s shirt, which might be an idea, keeping the center front button tab to save some time?